Sleep. It’s underrated, under-prioritized, and absolutely essential to finding success throughout your college journey. The odd truth is that sleep deprivation isn’t just a generally accepted phenomenon within college life — it’s often elevated and even celebrated as a “right of passage.” It’s as if not being utterly exhausted means you’re somehow screwing up your college experience. But that simply isn’t the case. College is the beginning of your independent, professional life, and it should be treated with the respect that it deserves. That respect includes allowing yourself to be well rested as your navigate your academic career. Social Life: While colleges provide education, the college experience revolves around social life as well. Late-night parties, weekend adventures, nabbing a bite to eat with friends — it’s easy to convince yourself to prioritize each and every chance to socialize over the need for sleep. The pressure to participate is enormous. As a result, sleep deprivation is often the result of FOMO, or the “fear of missing out.” This fear reinforces the desire to stay awake and alert in order to make sure you’re never dozing off during a social rendezvous. Anxiety and stress: There’s no doubt that the academic pressures of college can be enormous. The demand to be in classes at various times, as well as often-excessive levels projects and assignments, can wreak havoc on a student’s ability to calm their mind down in order to rest. Doing this for a prolonged time (such as, say, while pursuing a four-year degree) can lead to sleep anxiety or even insomnia. Stimulants: The casual use of things like energy drinks, coffee, and even caffeine pills is a huge factor in throwing off the average student’s ability to rest. Not only do these external stimulants enable users to avoid sleeping while studying or attending classes, but they can also disrupt their ability to rest when they actually have the chance to. What’s even worse is the fact that things like coffee shops are often literally built right on college campuses and operate around the clock, making the temptation to stop and grab a cuppa that much easier. Not only that, but most typical mass-produced coffee shop coffees, like Dunkin' Donuts, are brimming with caffeine. Add to that the availability of 24-hour on-campus libraries as well, and the entire system is set up to encourage students to pull late nights and even all-nighters in order to study whenever they can. It’s no secret that sleep deprivation is harmful, but sometimes it takes breaking down exactly how something is hurting you to help realize that you should do something about it. Weaken your body’s immune system. Increase the likelihood for things like depression, irritability, and forgetfulness. Create strong cravings for sweet, starchy, and salty foods. And the effects don’t just stop at how long you sleep, either. Inconsistent sleeping is also associated with lower grades. In other words, you can completely undo all of those long hours of studying if they leave your body without the rest it needs. Finally, it’s easy to forget the less likely but still relevant possibility that anyone who chooses to deprive themselves of sleep is putting themselves and others in danger as they drive, too, particularly for students who commute. This mirrors sleep deprivation issues affecting truckers across the country, though placing a drowsy driver in a densely populated college city could spell even greater disaster. In fact, there are 6,000 fatal car crashes a year caused by drowsy driving. How much sleep do you need? The common answer is around eight hours a night. Healthline puts the figure for college-age at seven to nine hours. Uninterrupted sleeping time is necessary for strong academic performance. Nix the coffee, pour yourself a cup of tea: No, you don’t have to get rid of the coffee for good, but it can be helpful to set limits to how late you’ll drink your java each day. In addition, try pouring yourself a nice cup of decaffeinated tea before heading to bed. Diffuse: Lavender essential oil is an incredibly helpful tool in the battle against sleep deprivation. Along with promoting general mental well-being, adding a few drops of lavender essential oil into a diffuser before your head hits the pillow can be a great way to help improve your overall sleep quality. Get into a sleep pattern: As mentioned above, irregular sleep can be just as detrimental as a lack of rest in general. If you find that you’re struggling to sleep on a steady schedule, here are some tips to help sync up your sleep pattern. Plan for dorm sleep: Of course, sharing your sleeping quarters with a few hundred other rowdy, sleep-deprived students can be a bit difficult. If you’re living in a dorm, remember to think ahead and plan out how you’re going to get to sleep. Keep things cool: Another factor that can genuinely disrupt a good night sleep is the temperature of the room. In general, the hotter the room the more disturbed your sleep will be. If it is too hot to sleep, be sure that you’re cooling things off before you turn out the lights. 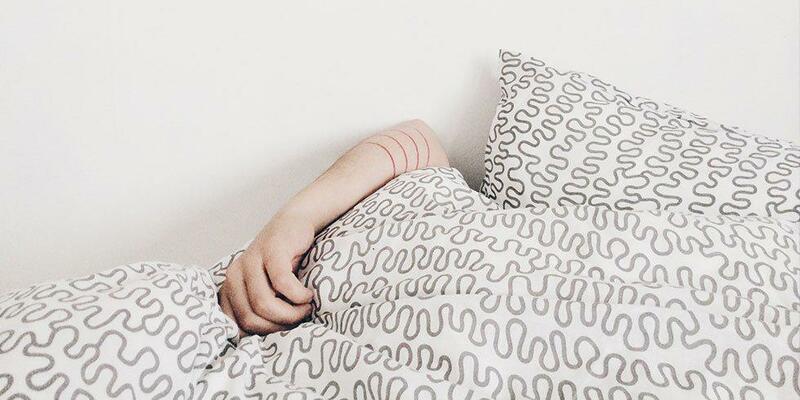 From sleep patterns to keeping things cool, using a diffuser, and cutting off the coffee, there’s no doubt that it’s well worth the effort to set yourself up for good sleep throughout your college experience. Want to hear more from Frankie? Frankie Wallace is a freelance writer from Boise, Idaho and a recent graduate from the University of Montana. Wallace contributes to a variety of different blogs online and is primarily interested in writing about environmental issues.